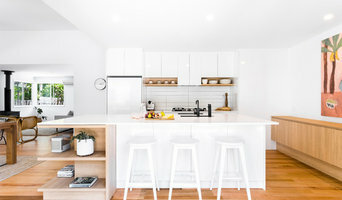 Solid Kitchens ‘n’ Cabinets is a small business located in the beautiful area of the Northern Rivers specialising in all aspects of kitchen and cabinetry design, manufacture and installation. From our workshop at Alstonville we service the many areas of the Northern Rivers including Lennox Head, Ballina, Bangalow, Byron Bay, Goonellabah, Lismore, Casino, Yamba, Tweed Heads and surrounding areas. Our aim is to achieve an aesthetic and functional balance throughout the home with a commitment to quality workmanship and prompt service. APT Creative Kitchens has proudly served Northern NSW since 2000. Located in Alstonville, APT's workshop is modern and well-equipped, and now includes a brand new showroom, displaying beautiful kitchen styles and finishes to impress. Customers appreciate a company who stands behind their workmanship, which is why APT's success has been driven by recommendations from clients. Paul Tagget has been designing, manufacturing and installing custom designed Kitchens, Vanities, Wardrobes and Office Fitouts for over 20 years in the local Lismore area. Paul can design your cabinets to meet your requirements. We specialise in full kitchen replacements, kitchen makeovers, kitchen renovations, from Tweed Heads to Grafton and west to Tenterfield including Alstonville, Ballina, Byron Bay, Lismore, Casino, Evans Head Kyogle and surrounding areas. You can be assured that Paul Tagget Kitchens offers ‘Quality at the Right Price', we come to you to measure, design and quote. We pride ourselves on 'one day' installation of complete kitchens. 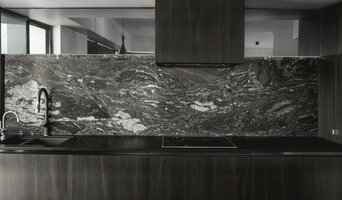 With a reputation second to none, clients often come back to Paul Tagget Kitchens to build a new Kitchen in their home. At Designer Living Kitchens we specialise in designing and manufacturing high quality custom built kitchens and joinery for both home renovators and new home builders. Our commitment is to work with you to provide both a professional and individual experience throughout the entire project. Our experienced designers pride themselves in working closely with our clients to design spaces that are not only innovative and attractive, but functional as well. Our factory is well equipped with the latest machinery and software to ensure that our joinery is of the best possible quality. D Hinged Kitchens and Joinery creates high quality custom kitchens, bathrooms, wardrobes, timber furniture and products. Working with your individual dreams, housing needs and budgets David brings a fine eye for detail to bring your renovation to life. With over 20 years experience in cabinetry David has a unique eye for project functionality and detail to complement your individual needs and design tastes. D Hinged Kitchens and Joinery will ensure your renovation is completed in a timely and highly professional manner. D Hinged Kitchens and Joinery constructs kitchens and cabinetry throughout the Byron Shire including the Mullumbimby, Byron Bay, Lismore, Ballina, Tweed Heads and Gold Coast regions. Contact D Hinged Kitchens and Joinery to arrange your personalised quote. There are many types of kitchen professionals in Bexhill, New South Wales – from cabinet makers, to carpenters and interior designers – and many trade professionals offer a full suite of expertise. Depending on the size of your kitchen renovation, and the kitchen designer, they may also hire contractors on your behalf and manage the project from beginning to end. Here are some related professionals and vendors to complement the work of kitchen & bathroom designers: Kitchen & Bathroom Fixtures, Appliances, Tile, Stone & Benchtops, Joinery and Cabinet Makers, Carpenters. 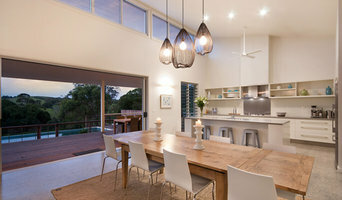 Find a Bexhill, New South Wales kitchen designer on Houzz. 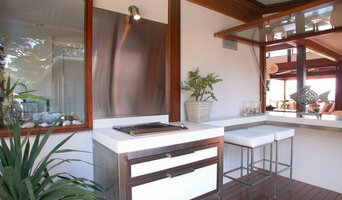 Browse the Professional section on Houzz to find kitchen designers in Bexhill, New South Wales. Then, scroll through photos of their latest kitchen renovations and see how their work compares to the scope of your project. You can read reviews to see how other homeowners rate their work, and message them directly to to ask any specific questions.